Spanish is one language with a shared basic core. However, colloquialisms, dialects, and even grammar can greatly vary from region to region. Spanish spoken in Latin America differs to the Spanish spoken in Europe. Even Spanish spoken across the U.S. differs due to the migration patterns of people from various Spanish speaking countries and where they settled in the states. These unique dialects make this dynamic language more complex and translators must keep every difference in mind when translating voice-over scripts. 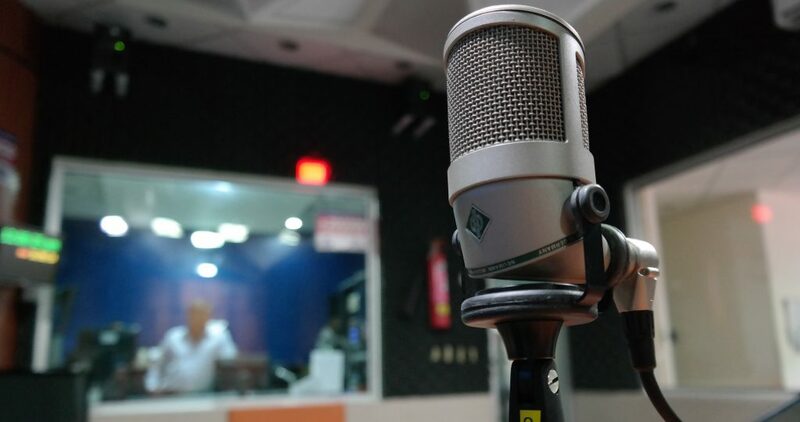 One of the biggest mistakes a company can make is recording a voice-over with an individual who has a strong accent and dialect that does not reflect the target market (unless otherwise stated in the creative brief). For example, utilizing talent from Chile would be extremely disruptive for an e-learning course in Mexico. The speed and emphasis on syllables differs tremendously between the two Spanish-speaking regions. An equivalent to this would be British talent recording a voice-over for an American literature e-book. The British accent and pronunciation differences would be an unnecessary distraction to a U.S. audience. 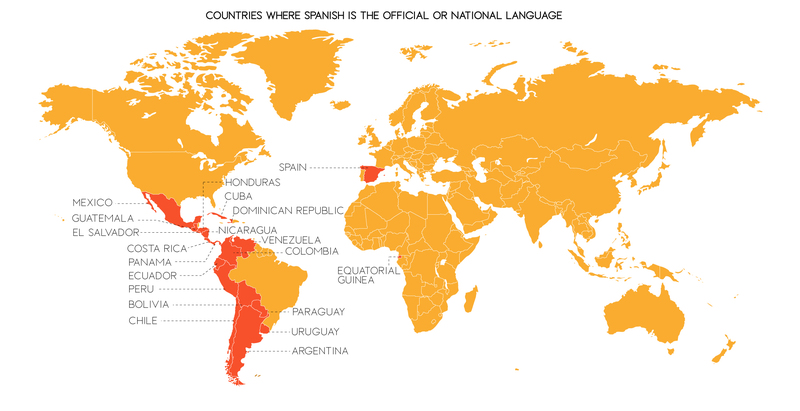 There are 20 countries where Spanish is the official language, as can be seen in the map above, but there are other territories where Spanish is widely spoken, like the U.S. and Puerto Rico. Argentina, Chile, Spain, Mexico, Cuba, Colombia, Venezuela, etc. all have very unique sounds. Even those Spanish regions that sound similar may have different ways to refer to the same action, attribute, object, etc. Language nuances such as these can severely impact understanding and even credibility. Poor voice-over works can destroy campaigns, confuse audiences, and even go viral for its unintentional hilarity. To minimize issues, one solution is recording the voice-over as neutral as possible. Neutral voice-overs abstain from slang and incorporate expressions that are well known to most regions. This will allow brands to create one deliverable for multiple projects. The upside to this method is that it lowers costs. The downside is that the expressions and vocabulary can be viewed as “watered-down” or too generalized for audiences. For an optimal translation, it’s best to localize the voice-over to the region of the target language. For broader scopes of work, another option is hiring several talents from various regions to record multiple versions of the copy. When scouting for voice-over professionals, talent will often specify the Spanish regions they represent. It’s possible to find talent that can record in several different Spanish variants, however, you should proceed with caution. Often times these multi-regional talents make mistakes such as mispronouncing a regional word or not picking up on the local cadence of conversation. Audiences can hear the doubt in the talent’s voice when these moments arise. There are many different elements to an accent, therefore, it’s very difficult to sound like a native in different Spanish variants. Rapid globalization created opportunities for businesses of all sizes to reach international markets. More than half of all U.S. companies (58%) have some foreign market involvement according to a survey by USForex. Layered on top of this trend is the growth of Spanish speakers around the world. An estimated 754 million people will speak Spanish by 2050 accordingly to a 2017 study from the Cervantes Institute. Translation service providers are quickly adapting to this change by fine-tuning their strategies to fit the global needs of their clients. This means that companies will need to ensure that all elements of a voice-over align with the audience it’s intended for. Terra Translations specializes in translation and voice-over of all forms, including e-learning courses, institutional videos, and audio books.